Introducing Multi-User Accounts, Lookup Fields, Private Forms and Workflows! Great news to all form creators in the world! Formplus now has the features to help you; create forms with workflows and approvals, manage multiple accounts with a super account, access values from another form using lookup fields and create forms with restricted access (private forms). A Lookup field accesses information submitted on another form and then autofills a new form with the obtained information. Say, you have an Inventory form to track goods in your store. Once you receive those items and log it, you can link your Online order form to the Inventory form so that, the available products that were entered into the Inventory form by the manager become Choice options in the Order form to be selected by a customer. 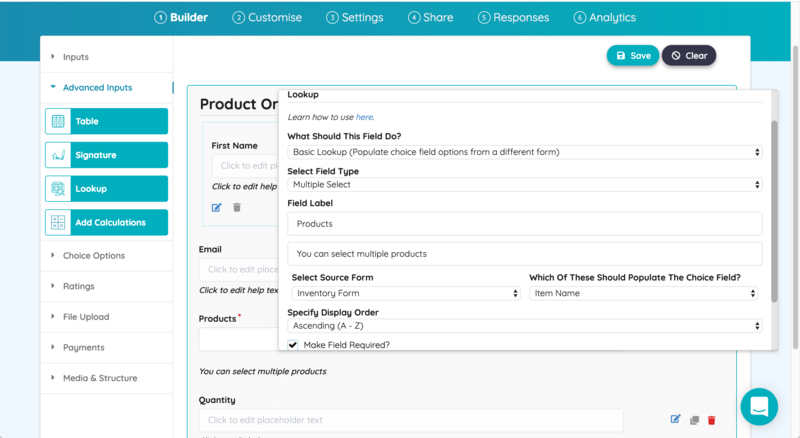 Using a Lookup field, the Multiple select field in your Order form populates itself based on the “Product available” fields of those entries. The Lookup field can be also made to display in a new form as text or number fields and even a respondent’s name and email address since they may have submitted in another form previously. Learn more here. Do you run a company/organization that has multiple departments and units creating forms and accessing data for their work? If your answer is yes, then your company could benefit from Formplus’ Teams feature. This allows you to group users into teams and set different levels of permission across the board. You can also get more people involved in form creation, sharing of data, approvals, and reviews. For an in-depth look at the multi-user functionality, check out this article on Formplus Teams. Now you can create forms with Workflow for complete process automation across your company. 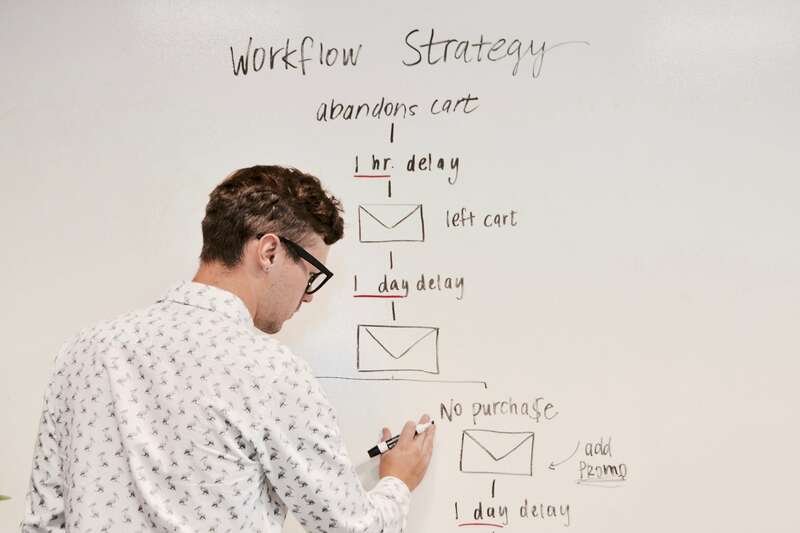 Workflows combine an intuitive online form builder with logic and flexible automation, to give something called “Workflow logic”. With this, you can create basic and complex approval processes involving multiple steps. You can also assign requests to different people within your team. Want to learn more, this support article has all the details on how to create forms with workflow. You can now import data from other sources into Formplus or transfer data from one Formplus form to another. This is especially significant in using the Lookup field and you’ll find that you can easily link your forms together, making your data collection and organization a whole lot easier and faster. Can you make your online form private? With Formplus you can! If you enable Privacy on a form, only logged in users will be able to view and fill in the required input. If the form belongs to a team, every member of the team will also have access to the form once they are logged in. To learn more, read this support article. Audit Trail: You know how clear-cut trails help you hike up the mountain better? Well, Formplus now does this but with online forms. For accounts with multiple users, you can now see a trail of actions, activities and team activities within the app. Learn more here. These new features are mostly available on the Professional plan or the New Platinum plan. Redesigned builder: When you log into Formplus now, you will definitely notice a new design in the builder. Everything is sleeker and a lot easier to view. On the “All Forms” page, some form options have been moved to a dropdown. More of this design and improved functionalities will be implemented across Formplus in the coming months. Standalone Share Page: In line with making things easier to see within Formplus, we have moved form sharing options to a standalone tab in the builder. The new “Share” page has all form sharing options - social media sharing, email invitations, SMS forms, QR codes, etc. Platinum Plan: We also introduced a new plan with more features. 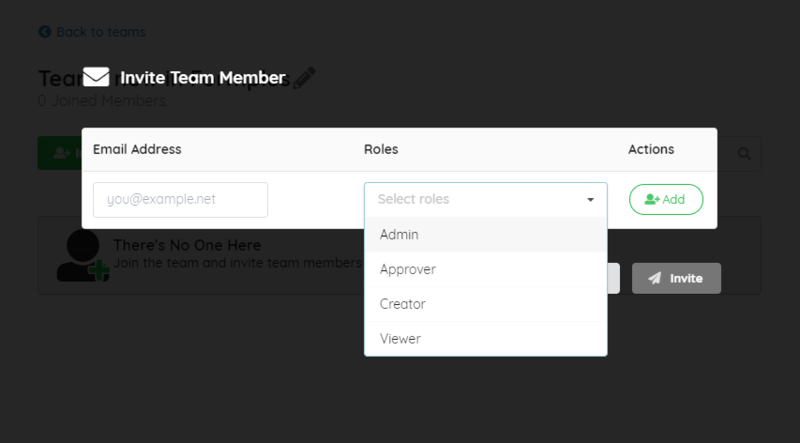 On this plan, you can add more users to create teams, use lookup fields to link forms, import data to Formplus and more. Sign up for a free trial of Formplus here. Images in Email Notifications: You can now display form signatures and uploaded images within Docx or PDF attachments included in submission notification emails. Rename attachments with a form field: This is now possible in Formplus; you can rename attachments in submission notifications with a form field and also skip empty form fields in the attachment. New to Formplus and want to try out any of these features? Sign up for a free 21-day trial of the Professional or Platinum plan. If you are a user with an active subscription, sign in to start creating forms with versatile functionalities.